I'm very embarrassed to say that I was supposed to have a review for this book today, but I didn't check to make sure I had my review copy. 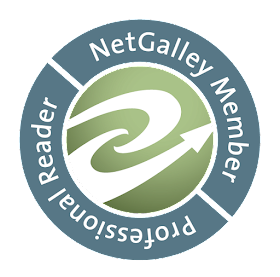 To the author, Liz Czukas, and to the blog tour company, Merp Squad Blog Tours, I am so sorry! It's completely my fault, and I hope to read this book very soon and post my review. Tails: The theater geek...with a secret. What could be better than a guy who shares all Heart's interests - even if he wants to share all his feelings? Hey guys! 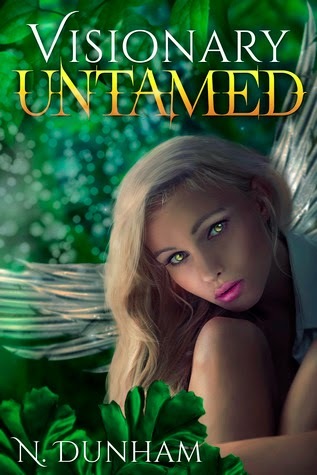 Today I'm bringing to you the Visionary Untamed blitz organized by BB Book Tours. I'm so glad to have found out about this trilogy - it sounds different and interesting with spirit animal guides and visions. The covers for both books one and two are designed by Claudia from PhatPuppy Art, and she always does an amazing job creating a gorgeous image for a story. Aislinn and Sebastian, along with Mya and Caleb, set off to the Amazon Rainforest in search of the legendary Visionary Guru when they unexpectedly come face to face with an uprising by the Rebel Leaders. Aislinn and Caleb become separated from the group and must adapt to the extreme conditions of the Rainforest. Fending off exotic animals, building shelter, and finding food become necessities in this mysterious world. 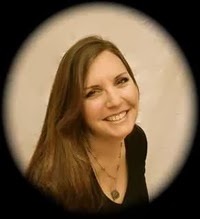 N. Dunham is the author of the Visionary Trilogy - a young adult fantasy series that incorporates psychic phenomena & spirit animals! Sixteen-year-old Aislinn Lee Murphy accidentally unleashes her hidden ability to see things before they happen, making her a Visionary. But little does she know that this amazing gift comes with a severe price. 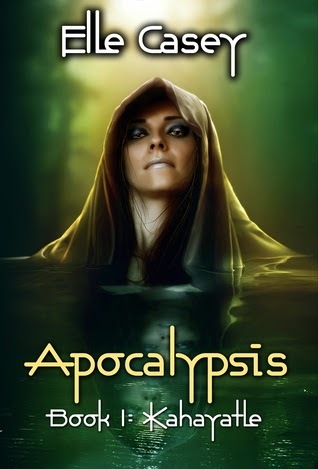 She must never tell a soul or she risks putting herself and her family in great peril. When Aislinn meets Sebastian, a fellow Visionary, the two of them find themselves completely captivated by one another as they become entangled in a web of danger and adventure. 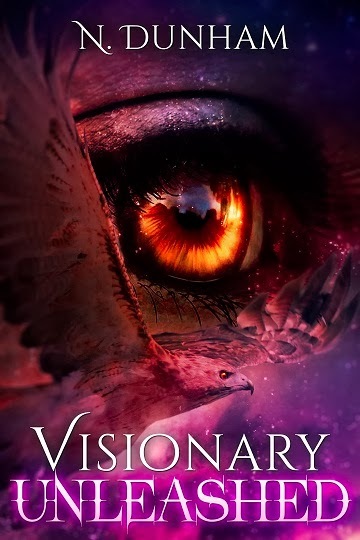 A Visionary is someone who has been chosen to see the future and has the benefit of having one of twelve spirit animals to guide and protect them, but Aislinn has had many encounters with a red-tailed hawk and that animal doesn't fall into the same category. It is one of the rarest spirit animals and it comes with a challenging prophecy. 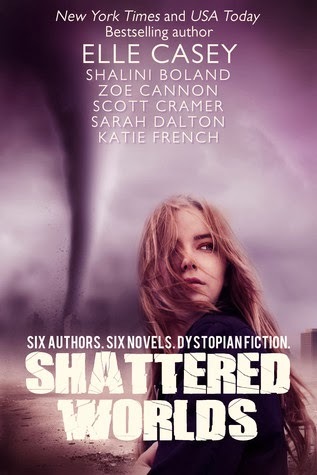 Shattered Worlds Boxed Set Blitz ~ Excerpt, Guest Post & Giveaway! Limited Time Only! Special Sale Price of 99 cents! Together these books have over 650 five star reviews! It's time for me to leave and find another place to live...a place where I can find food and shelter...a place where they won't be able to find me. 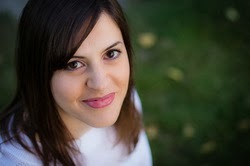 You can find her on Facebook: www.facebook.com/ellecaseytheauthor or on her website: http://www.ElleCasey.com. The world of the future is divided by Perimeters: high-security gated communities where life goes on as normal. If you're inside you're lucky, if you're outside life expectancy takes a nose dive. Riley is fortunate to have been born on the right side of the fence. But her life of privilege comes crashing down when someone breaks through the Perimeter and murders her sister. She forsakes her own safety to go in search of the killer. Luc decides to go with her otherwise she'll be dead before she's past the security gate. But what awaits her outside is more unbelievable than she ever expected. Shalini lives in Dorset, England with her husband and two noisy boys. Before children, she was signed to Universal Music as a singer songwriter. Now, writing novels has hijacked her life and she is usually to be found with a laptop welded to her fingers and the house in a permanent state of neglect. 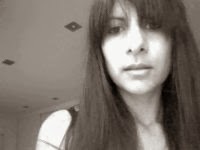 Find Shalini at: http://www.shaliniboland.co.uk. Pa is a black marketeer. Nobody and everybody knows this. Pa pays people not to rock the boat. He pays the guards, he pays the neighbours and he even pays his friends. He pays off just about everyone - a litre of whisky here and a bag of sugar there, and in return we live a life of ease and comfort. Pa believes in the carrot approach just as much as the punishing stick. As long as he doesn't draw too much attention to himself from the wrong quarters, we're safe and free. Pa can get his hands on just about anything from before. If you've got a craving for a pot noodle he can probably magic one up from somewhere. But it'll cost you all you've got and more besides. He isn't swayed by threats or tears. He'll hold fast and stare you down and if you can't pay you might get a bullet in your head, or worse. This morning, my parents are standing together in the doorway of the sitting room. Behind me, the sun floods in through the windows and they edge closer to avoid squinting into the too-bright light. Their faces are ghost white and Ma's nose and eyes are pink and swollen. She shivers and her teeth chatter as though she's chilled and it isn't the warm July morning it appears to be. 'Riley, can you sit down?' Pa asks. 'Okay,' I say. They're acting weird. It's freaking me out. My legs are heavy wood and I'm not sure I can make the three feet required to reach the sofa. 'Okay,' I repeat. But I don't move. I just keep looking from one to the other and they stare back almost as if they're afraid of me. 'Riley, sit down,' Pa says. I walk to the sofa and sit in one corner with my hands on my lap. The leather is cool against my legs in the warmth of the room. Fear has travelled up from my stomach to my throat and I can't swallow. I feel sick. 'Riley,' he says, running his hands slowly through his hair. 'No!' Ma loses it. She sobs and stumbles towards me. Sits and buries her head in my chestnut curls, rocking me backwards and forwards, moaning and muttering. I can't breathe she's holding me so tight. 'Sweetheart, let go, you're crushing her. Go and lie down upstairs if you want. I'll tell her.' Pa's voice is soft and broken. It doesn't sound a bit like him. She lets go of me, cups my face in her hands and kisses my face all over. 'No, it's alright, I'm alright,' she says not taking her eyes from my face. 'I'm not leaving my baby.' She leans back, trembling. I press my hands back into my lap and she wraps her arms around herself, still shivering and rocking. Our house has always been a light and happy place. I don't understand what's going on. My face and pyjama top are wet from Ma's sticky tears. I let my mind wander for a minute, away from the awful strangeness of what's going on and I hear the low background hum of the generators overlaid by the familiar whirr and thrum of a copter hovering overhead. Has my father done something wrong? Are we in danger? Do we have to leave the Perimeter? All the most awful things I can think of crowd my brain. And then...Skye! Why isn't she here? My little sister is usually up before me. I hesitate, not wanting to pose the question. Maybe she's too young for this conversation and they've sent her out of earshot. She won't like that; she'll kick up a real fuss. But then I would have heard them arguing and everything has been quiet this morning; abnormally quiet up until now. An unwanted thought creeps into my head and I push it out quickly. 'Where's Skye?' My voice sounds high pitched and distant, like my ears need to pop. Pa comes close and crouches down in front of me. He takes both my hands in his and looks into my eyes. And then something really horrible happens. My powerful, strong, wonderful father starts crying. Proper messy crying where his face twists and his voice sounds broken. I'm appalled. He never cries. I'm not a typical daddy's girl. I love the bones of him, but I feel easiest around Ma. We always talk make-up, fashion, gossipy stuff and laugh a lot together. Skye belongs to Pa and Pa definitely belongs to Skye. They're a team. I never feel excluded exactly, but I don't have the same natural connection they do. I stare down at the patterns on the carpet. I've never noticed just how vivid the individual colours are. The over-all effect is of a soft warmth, but I focus on a particular strand of red that seems almost luminous, as if it's going to jump out of the weave and hit me in the face. 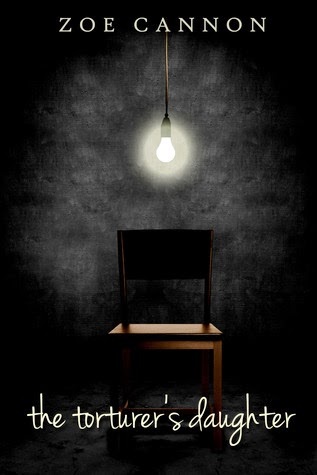 To stop Heather from getting herself killed trying to prove her parents' innocence, Becca hunts for proof of their guilt. She doesn't expect to find evidence that leaves her questioning everything she thought she knew about the dissidents...and about her mother. It's easy to be a hero when you can save the world, but what about when all you can do is choose how you live in it? An Amazon dystopian bestseller, The Torturer's Daughter, is a story about ordinary life amidst the realities of living under an oppressive regime...and the extraordinary courage it takes to do what's right in a world gone wrong. Zoe Cannon writes about the things that fascinate her: outsiders, societies no sane person would want to live in, questions with no easy answers, and the inner workings of the mind. If she couldn't be a writer, she would probably be a psychologist, a penniless philosopher, or a hermit in a cave somewhere. While she'll read anything that isn't nailed down, she considers herself a YA reader and writer at heart. She lives in New Hampshire with her husband and a giant teddy bear of a dog, and spends entirely too much time on the internet. Find Zoe at: http://www.zoecannon.com. 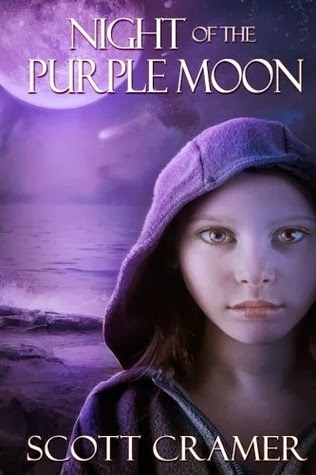 Abby, 13, is looking forward to watching the moon turn purple, unaware that deadly bacteria from a passing comet will soon kill off older teens and adults. She must help her brother and baby sister survive in this new world, but all the while she has a ticking time bomb inside of her - adolescence. Scott Cramer has written feature articles for national magazines, covered school committee meetings for a local newspaper, published haiku and poetry, optioned a screenplay, and worked in high-tech marketing communications. His pursuit of a good story has put him behind the stick of an F-18, flying a Navy Blue Angels' fighter jet, and he has trekked through the Peruvian mountains in search of an ancient Quechua festival featuring a condor. Scott and his wife have two daughters and reside outside Lowell, Massachusetts (birthplace of Jack Kerouac) in an empty nest/zoo/suburban farm/art studio with too many surfboards in the garage. 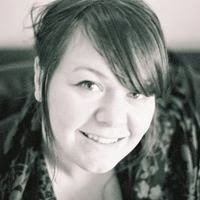 Sarah grew up in the middle of nowhere in the countryside of Derbyshire and as a result has an overactive imagination. She has been an avid reader for most of her life, taking inspiration from the stories she read as a child, and the novels she devoured as an adult. 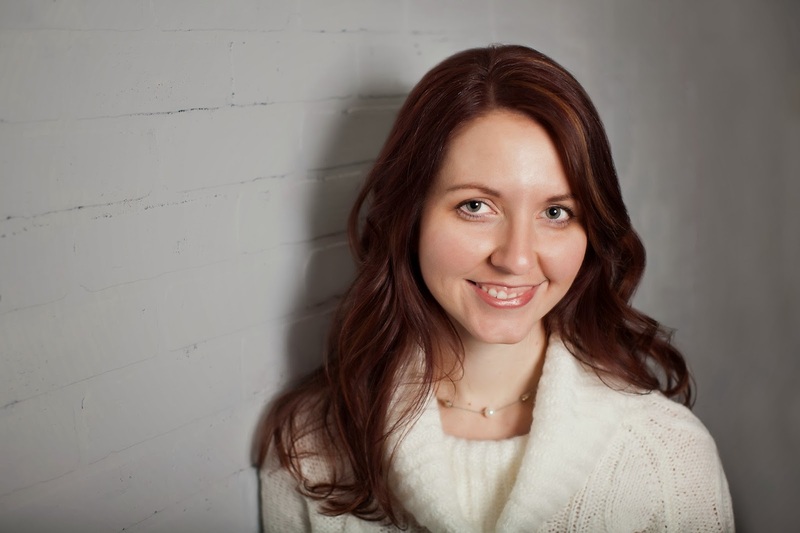 She is the author of the popular YA dystopia series 'Blemished' and the gothic novella 'My Daylight Monsters.' 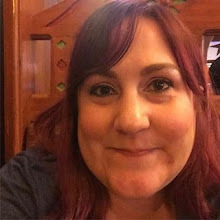 She is currently working on a YA Fantasy series titled 'White Hart.' Find Sarah at: http://sarahdaltonbooks.com/. 1. I didn't think I was good enough to be a writer - I thought being a writer meant writing books that would change the world or become a poetic masterpiece. I completely lost sight of the books that entertain people. Sometimes the books that we love are not the books that will be remembered in a hundred years. When I learned that I realised that I could be a writer. 2. I'm chaotic - I have to force myself to approach things systematically. I want to just start with a line or a character and write the book from there. I've learnt the hard way that approaching a novel is something that needs to be planned. 3. 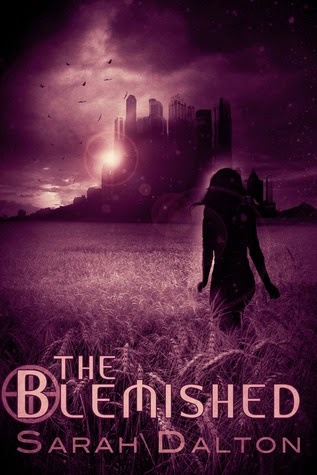 The Blemished started off on another planet - except it wasn't really The Blemished but it did still have Mina as the main character. She was a Princess who could read people's emotions through smell. She met a boy who she couldn't smell and could not speak her language and they fell in love. There were many problems with it and I had to give it up! 4. I'm British - Okay, that's probably not a surprise seeing as the book is set in Britain and I tend to talk about being British a lot. I find it hard to find many other indie British YA authors out there. If you're there come say hello! 5. I find soaps inspiring - I love watching human nature and soaps are our human-nature outlets. They are what we think relationships are and I find that a bit fascinating. I think watching soaps has helped me with my characters. 6. I'm addicted to the internet - I'm old enough to remember when emails were invented and to have actually been on a chat-room. I think I got addicted to the internet before it was really popular, back in the day when you had to wait 2 hours for a song to download from Napster! Yup, I'm old. 7. Leave the past alone - I get fed-up of people older than me telling me how much better the past was and how bad kids are these days. The truth is that everyone's teenage/young adult years are the best of their life and they are always going to see that period in the golden-glow of youth. It doesn't mean there was less crime, TV was better or we had better manners. Move on. 8. I don't drive - people tend to comment on this a lot and I get hassle from my family but I hate driving and I won't do it. It doesn't mean I'm not independent, I live in the middle of a city and everything I need is in walking distance. 9. I grew up in the middle of nowhere - and it gave me cabin fever. I could never live in the countryside again. I need the hustle and bustle of a city. 10. I believe we make our own fate - I don't believe in luck or destiny. When I was growing up I heard a lot of people say 'it just wasn't meant to be.' I don't think anyone should hear this as a child. You have to go out into the world and carve out your own path. That's the advice I would give to anyone. Make things happen. "When the Breeders come for ya, there ain't no escape. They strap ya to a bed and all ya hear is the thud of your heart and the cries of your friends as they wheel ya down to hell. Then the doctors come. You squeeze your eyes shut and pray you can forget. But ya never do." Sixteen-year-old Riley Meemick is one of the world's last free girls. When Riley was born, her mother escaped the Breeders, the group of doctors using cruel experiments to bolster the dwindling human race. Her parents do everything possible to keep her from their clutches - moving from one desolate farm after another to escape the Breeders' long reach. The Breeders control everything - the local war lords, the remaining factories, the fuel. They have unchecked power in this lawless society. And they're hunting Riley. 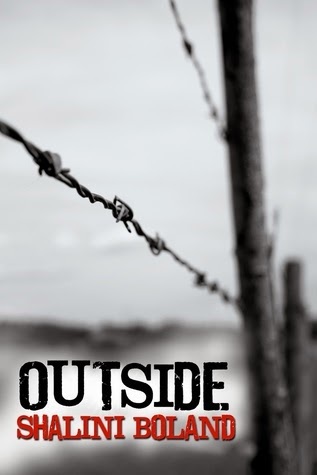 When the local Sheriff abducts the adult members of her family and hands her mother over to the Breeders, Riley and her eight-year-old brother, Ethan, hiding in a shelter, are left to starve. Then Clay arrives, the handsome gunslinger who seems determined to help to make up for past sins. The problem is Clay thinks Riley is a bender - a genderless mutation, neither male nor female. As Riley's affection for Clay grows she wonders can she trust Clay with her secret and risk her freedom? The three embark on a journey across the scarred remains of New Mexico - escaping the Riders who use human sacrifice to appease their Good Mother, various men scrambling for luck, and a deranged lone survivor of a plague. When Riley is forced into the Breeder's hospital, she learns the horrible fate of her mother - a fate she'll share unless she can find a way out. Katie French imagined herself an author when her poem caught the eye of her second grade teacher. In middle school she spent her free time locked in her room, writing her first young adult novel. Though her social life suffered, her love for literature thrived. She studied English at Eastern Michigan University, where she veered from writing and earned an education degree. She spent nine years teaching high school English. Currently she is a school counselor, doing a job that is both one of the hardest things she's ever done and the most rewarding. In her free time she writes, reads great books and takes care of her two beautiful and crazy children. She is a contributor and co-creator of Underground Book Reviews, a website dedicated to erasing the boundaries between traditional and non-traditional publishing. She lives in Michigan with her husband and two children. 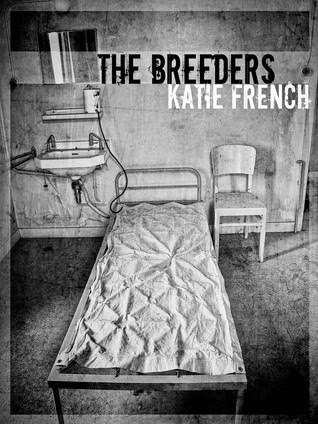 You can find her at http://www.katiefrenchbooks.com. 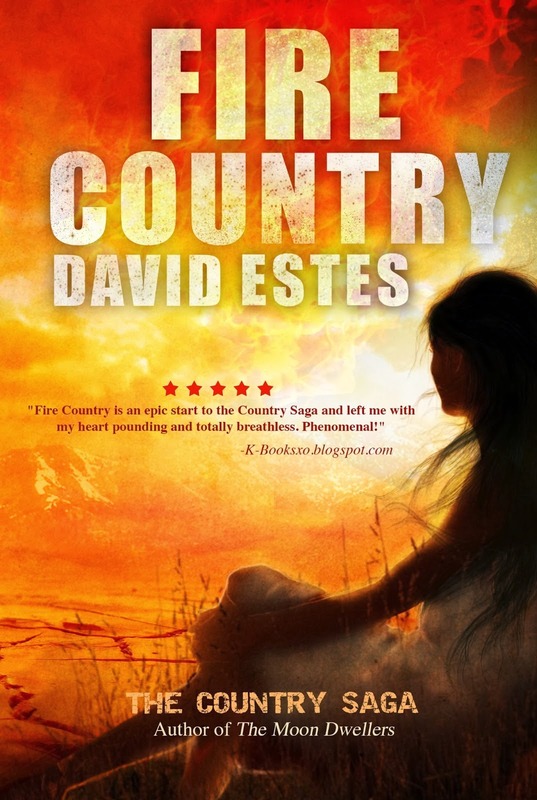 Fire Country Birthday ~ Celebrate with David Estes! ~Jennifer~ | 3:00 AM | david estes | fire country | giveaway Please comment!